Different slab thicknesses for 5 to 16 m spans. 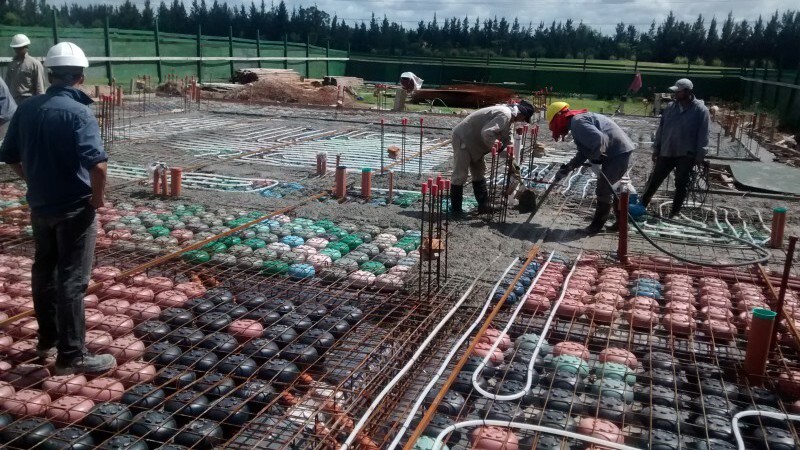 A patented construction method that consists in reinforced concrete slabs without beams, which are lightweight due to the use of recycled plastic discs or spheres. 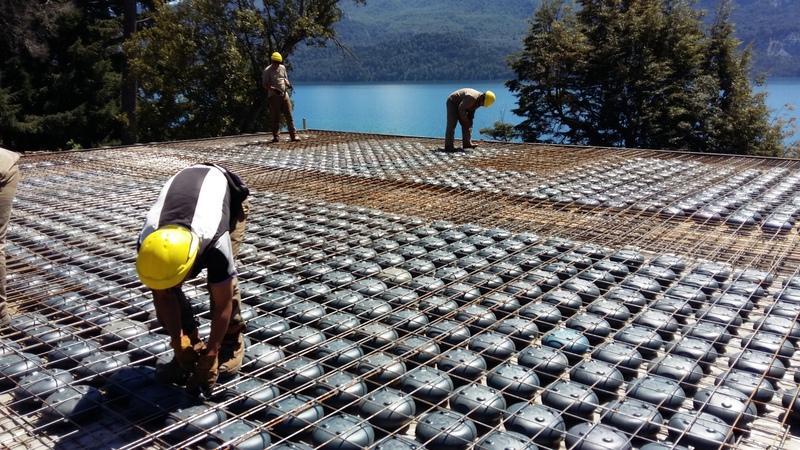 Reducing up to 30% the concrete consumption and 20 % the steel consumption, the system generates significant savings. As well, it assures the needed plasticity to absorb static and dynamic loads such as seismic and wind loads, by the collaboration of the facade walls, slabs and the building core. The structural behavior and calculation method used for PRENOVA slabs is identical to the one used for traditional solid slabs. It has been proven in situ by deformation tests, that the system provides a greater resistance towards bending and deformation in comparison to solid slabs. This is due to the reduction in the slab weight. 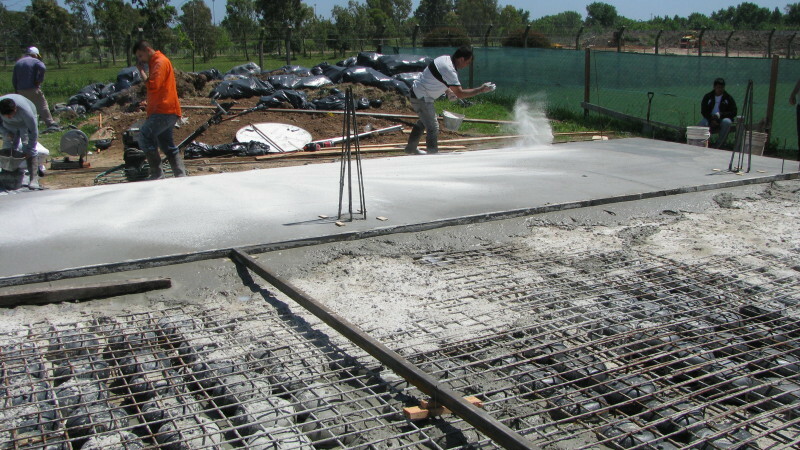 Up to 30 % lower concrete consumption and 20 % lower steel consumption. Elimination of subfloors and ceilings. Less weight of the construction. Possibility to include piping inside the slab. Approved Countrywide by the Department of Housing and Urban Development. Unlimited production capability as it does not require cranes for it's montage. Being a fast system reduces in half the construction time. Allows to build more levels per building. Easy installation of pipes and ducts, thanks to the absence of beams inside the building. Complies with CIRSOC and ACI-318 2011 norms. Spans large areas without beams and allows ample cantilevering. Good thermal and acoustic insulation. Reduces construction costs in between 5 and 20 %. Calculated as a solid slab without beams. Every 10 000 built m², 1000 m³ concrete are saved, which means that 220 tons of CO2 emissions are reduced from our atmosphere. Prenova certificates LEED and Green Building. Spheres and discs are made out of recycled material. This material is made out of waste that pollutes our environment. It is recycled to produce the spheres and discs which are then left inside the concrete slab.